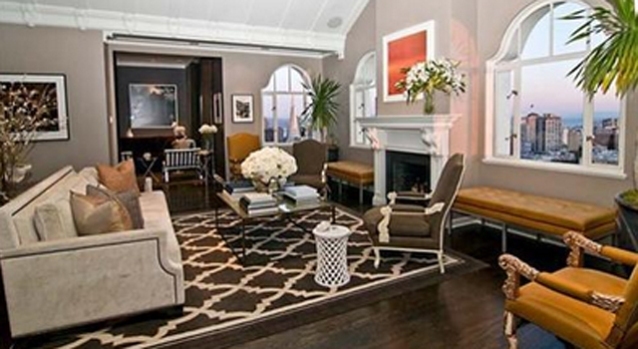 Former San Francisco mayor Gavin Newsom has put his Ashbury Heights home up for sale. Gavin and Montana enjoy baseball night in America at AT&T. It must be something to be former San Francisco Mayor and current California Lieutenant Governor Gavin Newsom. The lifestyle. The smoking hot wife. The Twitter account. The hair. And the house. We plebeians may never know exactly what it's like to be Gavin, but the more well-heeled among us can get a taste of what it's like to live in his house. And for the bargain basement price of $2.7 million, according to real estate Web site Socketsite.com. You may recall that Gavin bought the home in 2009, when dreams of becoming top dog in California were still dancing in his head (and, for practical reasons, the new husband and father needed digs more spacious than his Nob Hill penthouse). But with Newsom, his wife Jennifer and their children Montana and Hunter moving to Gavin's teenage stomping grounds of Marin County, the lite guv has put his Ashbury Heights home up for sale. The four-bedroom, three-and-a-half-bath Masonic Avenue home is 3,051 square feet, was built in 1915, and is being sold for $200,000 less than its 2009 sale price. Peep the photos for yourself.